My wife and i are touring New Zealand next January , on a Tiger 800 naturally, we are booked into the Bealey hotel on Arthurs pass for one night and we have been specifically warned about Keas ripping motorbike seats to shreds particularly in that area. I thought of taking the seat offs and keeping them in the room but that stupid idea leaves the electrics exposed, then thought about winding string from the bars back and forth to the top box like a gardener does to keep birds off the grass seed, or bungeeing a couple of hard table mats over the seats. Do any of of our Antipodean members have anything to advise please? 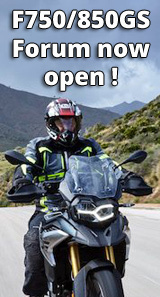 Ring or email the hotel and ask them if there is somewhere enclosed you can leave a motorcycle overnight. Most hotels and motels have something. Worst case ask them if they can provide matting so you can push the bike into the room overnight. One more thing. Keas are not really nocturnal. They are around at night and will possibly cause damage then but they are far more active during the day. You are probably more likely to have damage caused during a sightseeing stop during the day than you are at a hotel at night. Basically you need to be on guard all the time you are not actually riding the bike. As K1W1 stated, contact the hotel but not a real issue during daylight. Out of interest are you hiring the bike? Thanks for your replies guys, and to Bladerunnr99 yes we have booked a self guided tour of both islands through UK company HC TRAVEL which I tweaked to my requirements and the bike is supplied through Te Waipounomu in Auckland. Looking forward to NZ. For the benefit of anyone else touring NZ I think I may have found a solution to the Kea conundrum, a cargo net (Oxford products) stretched from the frame just under the tank, and secured with a bungee cord round the top box should deter the little dratsabs from landing on the seat, hopefully! As the saying goes necessity is the mother of invention.